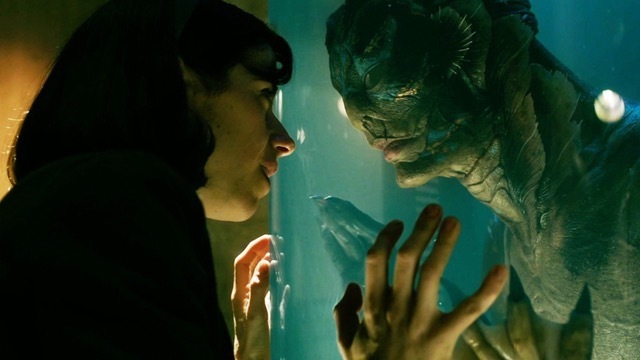 The Academy Award winner for Best Picture directed by the great Guillermo Del Toro, “The Shape Of Water” lives up to the hype and delivers a unique, heartwarming tale of love between two outcasts. Sally Hawkins’ performance as the mute Elisa is extremely endearing and full of wonder as she plays a mute cleaning woman working at a secret government lab housing the human oil amphibious creature they are holding. Accompanied by an amazing score by Alexandre Desplat and outstanding supporting roles from Richard Jenkins and Michael Shannon, “The Shape of Water” is a near perfect film-watching experience. “The Shape of Water” is currently streaming on HBO. Jason Schwartzman and Mark Wahlberg lead a stacked cast of actors in this story as two men on an existential journey to find the meaning of life. David O. Russell directs this piece where Dustin Hoffman and Lily Tomlin play a couple who work as existential detectives as they follow Schwartzman and Wahlberg’s characters on their journey and hilarity ensues. It was cool to see a movie by Russell that preceded his much bigger hits like The Fighter and American Hustle. The film also features appearances by Jude Law, Naomi Watts, Richard Jenkins, Talia Shire, and the feature film debut of Jonah Hill. “I Heart Huckabees” is currently streaming on HBO. 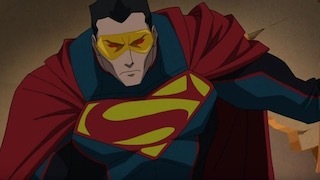 The newest animated feature in the DC Animated Universe, “Reign of the Supermen” is a great follow up to last year’s “Death of Superman.” After the Man of Steel’s death at the hands of Doomsday, Metropolis suddenly finds themselves with four different supermen (Superboy, The Eradicator, Steel, and Cyborg Superman) all looking to fill Superman’s shoes. When one of them is revealed to be a plant by the villain Darkseid, the other three, along with Lois Lane, must find a way to defeat him and discover that there may be a way Superman can come back. The animation is much better than previous DCAU movies, and the voice cast continues to be one of the many highlights of these adventures. “Reign of the Supermen” is available for purchase on digital platforms. A movie that not many people were talking about in 2018, “Hearts Beat Loud” is one of the best independent films of the year. Nick Offerman and Kiersey Clemons lead this story about a father/daughter duo who start a band together before big changes affect both of their lives. The chemistry between Offerman and Clemons is incredibly natural and keeps you invested in this somewhat familiar story format. Also, the movie features some great original songs composed by Keagan DeWitt. You can find “Hearts Beat Loud” currently streaming on Hulu. Mark Duplass and Sarah Paulson star in this film about former lovers who spend the day reconnecting after years without seeing each other. Shot entirely in black and white, Paulson and Duplass have a natural rapport with each other that is perfectly portrayed on screen. But when their shared regret is finally brought up for both of them to confront, you see why this relationship ended in the first place. Paulson is always great on screen, but Duplass puts on one of his better film performances in this movie as a man who is still somewhat haunted by the past regret they share together. “Blue Jay” is currently streaming on Netflix. 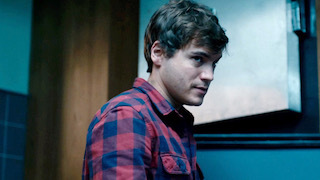 This creepy horror film stars Emile Hirsch and Brian Cox as a father and son who work together in a morgue. When a mysterious corpse is brought in, their examination uncovers revelations that lead to the two men being trapped and terrorized by the Jane Doe. The tension building up to the scares are executed very well in this movie and Emile Hirsch puts on one of my favorite performances of his in a long time. “The Autopsy of Jane Doe” is currently on Netflix. 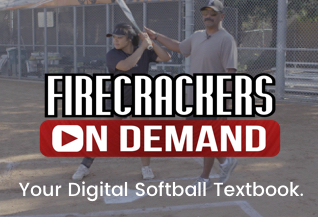 This 2012 ensemble comedy follows multiple stories all taking place at a 10-year high school reunion. Whether it’s Chris Pratt being a drunken mess, Channing Tatum reuniting with a high school flame, Oscar Isaac and Kate Mara’s story of two friends who never revealed their feelings for each other, or Justin Long competing for the attention of the prom queen, this movie has something for everyone to enjoy. “10 years” can currently be found streaming on Hulu.